We've got your District Attorney campaign covered with custom banners from SpeedySignsUSA. Getting your campaign off the ground can be tricky. 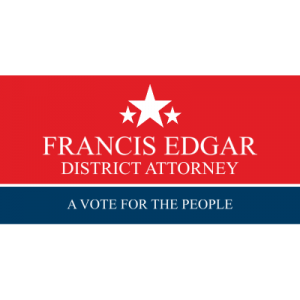 Our banners are a simple, affordable way to bring excitement to your District Attorney campaign. This banner design was created specifically to create buzz and spread the word about you!